Naturally Trurl rejected the request. Yet he wanted to console the king, and so he built a tiny replica of a kingdom, contained in a box. Trurl perfected it so that the great Excelsius accepted it in the stead of his throne. They rushed to save Excelsius’s small subjects, only to discover that they had saved themselves. Iluvatar had made the Dwarves the children of his adoption; he made them living beings. Finally, there is the story of Travis and Nicholas Mackenzie. They have a world of “artificial intelligence. AI. Emotions, pattern recognition, free will, the ability to hold contradictory views … [H]uman consciousness. The whole enchilada.” It was difficult to create a digital world whose inhabitants think and act freely; preserving it may be more difficult yet. The linchpin of The God-Hater is that a group of people managed to create beings with independent wills. 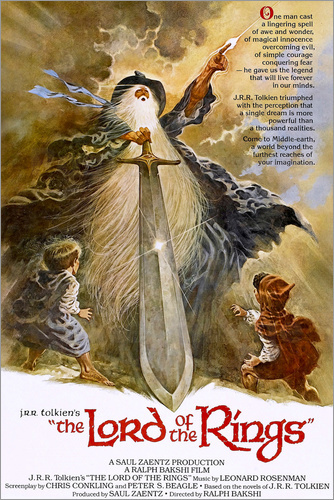 The linchpin of Tolkien’s story is that only God can do that. Of course, in Bill Myers’ story the method was one Tolkien could not have imagined: computer programming. Bits and bytes, Travis calls his creations. Pixels and teraflops. But if they’re not real to him, they are very real to themselves – and each other. My question here is not whether it is possible to make a computer program that becomes, like Adam, a living being. My question is whether that is what happened in The God-Hater. Emotionally, the book tugs strongly in that direction. But Myers never explicitly settled the question. So let’s apply Klapaucius’ test. Remember his words to Trurl: When the imitation is perfect, the semblance becomes the truth, the pretense a reality. Travis stressed the perfection of his imitation, and his pretense of real, free beings became a reality. He might as well have said that a sufferer is one who suffers. And the one thing none of us can doubt, since we saw Alpha make his trip to the Killing Wall, is that they really do suffer. Now here’s where things get dicey. When the whole thing ceases to be an elaborate computer game, role-playing God becomes a much more doubtful enterprise. Did anyone notice that when Alpha built a temple, he built it to Nicholas? And when he prayed, who was he praying to but Nicholas? In the end, these mimicries of humanity who became, by virtue of their ability to suffer and choose, really human – they have, as their God and Savior, Nicholas Mackenzie. There’s something just not right about that. It’s odd that Rebekah and Nicholas made such a big deal out of giving the – what can we call them, electronic humans? – the truth, because they never got close to it. The created-to-sell-soap thing isn’t even the biggest part of it. The greatest truth, the ultimate Reality, is God. Any existence blind to Him is necessarily starved. I think this is a legitimate issue. I also think it’s beyond The God-Hater. Maybe Myers doesn’t really consider the digital world to be real. Or – and I lean toward this – maybe these questions are simply outside the scope of his book. Maybe it wasn’t mere oversight that Myers never resolved his AI beings’ relationship to the universe; then he’d have to resolve their relationship to the God of the universe. Make it clear that Alpha is a rational creature on the order of humans and angels, and you’ve jumped clear over Nicholas Mackenize’s head. The intent of The God-Hater was to “justify God’s ways to man” by putting man in (analogically) God’s place. To transcend the man-made computer world to the world God made, to move the question to a much higher court – that may have derailed Myers’ purpose entirely. It would have made a different book, and not necessarily a better one. Still, it would have been nice if, to Alpha and his choosing, suffering world, God could have been God. The story of Aule and the Dwarves can be found in The Silmarillion. The Seventh Sally, or How Trurl’s Perfection Led to No Good, is in The Cyberiad. I once posted a review of it.